The course introduces the fundamentals of the lumped circuit abstraction. Understand the basic electrical engineering principles and abstractions on which the design of electronic systems is based. These include lumped circuit models, digital circuits, and operational amplifiers. Use intuition to describe the approximate time and frequency behavior of circuits containing energy storage elements. Understand the concepts of employing simple models to represent non-linear and active elements-such as the MOSFET-in circuits. Build circuits and take measurements of circuit variables using tools such as oscilloscopes, multimeters, and signal generators. Compare the measurements with the behavior predicted by mathematic models and explain the discrepancies. Understand the relationship between the mathematical representation of circuit behavior and corresponding real-life effects. Analyze circuits made up of linear lumped elements. Specifically, analyze circuits containing resistors and independent sources using techniques such as the node method, superposition and the Thevenin method. Design circuits which represent digital logic expressions. Specifically, design a gate-level digital circuit to implement a given Boolean function. Perform a small-signal analysis of an amplifier using small signal models for the circuit elements. Calculate the time behavior of first order and second order circuits containing resistors, capacitors and inductors. Calculate the frequency response of circuits containing resistors, capacitors and inductors. Determine in the laboratory the time-domain and frequency-domain behavior of an RLC circuit. Design, build and test an audio playback system which includes both analog and digital components. 8.02 Physics II: Electricity and Magnetism, and 18.03 Differential Equations. Please attend your assigned recitation unless you have a scheduling conflict; if this is the case, please notify the staff either on the scheduling handout or by emailing. Recitation assignments will be posted. You should attend your assigned recitation over the course of the term. If you must change your recitation assignment after the first week of the term, please inform your TA or the head TA. Tutorials will be held in the TA offices within the Lab during the beginning of the week and during the weeks when there is no lab in progress. Tutorial hours will be assigned and posted. Tutorials cancelled due to holidays will be rescheduled by your TA. Extra tutorials to address particularly challenging material will be scheduled throughout the term, depending on student demand; if you have interest in receiving extra help on a particular topic, please contact the head TA. Agarwal, Anant, and Jeffrey H. Lang. 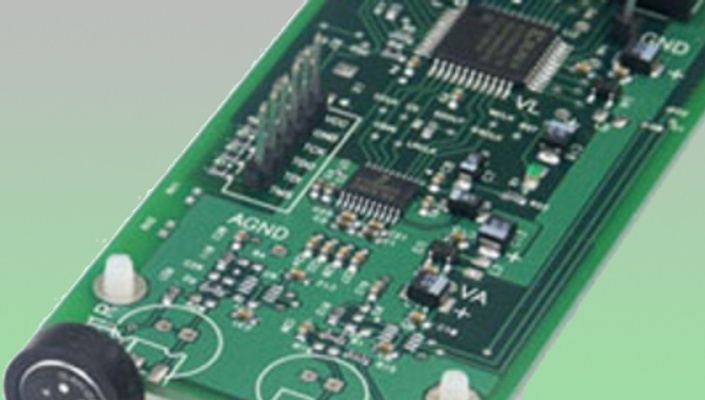 Foundations of Analog and Digital Electronic Circuits. San Mateo, CA: Morgan Kaufmann Publishers, Elsevier, July 2005. ISBN: 9781558607354. Homework will be issued in lectures and collected a week later in recitation. Corrected homework with solutions will be returned in tutorials the week after it is collected. You are welcome and encouraged to discuss the homework among your colleagues. However, the final formulation and write up of your homework answers must be your own. Submitting homework copied from someone else is a breach of ethics, and will be handled by the Committee on Discipline. More importantly, although homework counts for only 5 percent of the grade, they are critical to learning the material and to doing well on the quizzes and final exam. One homework problem will appear in each of the tests, and homework performance will be taken into account during grade assignment for cases that are on letter-grade boundaries. Late homework will not be accepted for grading. However, total homework grades will be based on the best nine out of eleven individual homework grades. Thus, with one exception, two homework assignments may be missed without a grading penalty. The one exception is Homework #11, which is mandatory. Homework #11 will be a two-week design assignment that will also serve as the pre-lab exercises for Lab #4. All homework will be graded on a coarse scale of 0 to 3 points. 3 points if all or nearly all problems are correct, 2 points if homework is approximately half correct, 1 point if mostly incorrect, and 0 points if late or not submitted. Labs will be conducted during the weeks shown in the schedule. Each lab assignment involves one or more accomplishments which must be checked off by a TA in the lab. TAs will be available for help and lab check-off during those weeks in which a lab is in progress. Individual lab hours will be assigned and posted on the 6.002 Web site. Written lab work for labs 1 through 3, which is to be completed in a lab notebook, will be due in recitation on the day following the week of the lab. No written work will be due for the last lab. You are welcome and encouraged to discuss the labs among your colleagues. You are also welcome to team up in pairs to execute a lab. However, the write up of your lab must be done on your own. Skipping the lab and submitting work copied from someone else is a serious breach of ethics, and will be handled by the Committee on Discipline. Lab assignments will be graded on a scale of 0 to 3 (3: lab complete, works, good job on pre- and post-lab; 2: lab mostly complete, reasonable job on pre and post lab; 1: lab partially done, marginal to poor job on pre- and post-lab; 0: lab not done, poor job on pre- and post-lab). You must obtain a thin square-ruled hard cover notebook for recording measurements, observations and graphs of data taken during the in-lab exercises. Written pre-lab and post-lab exercises are also to be completed in your lab notebook. Your lab notebook must be turned in for grading during recitation following the lab week; it will be returned before the next lab. Two closed-book evening quizzes will be given in 6.002 this term. The first quiz will take place 3 days after R9, while the second quiz will occur 1 day after L18. Both quizzes will have a two-hour duration. There will be no lecture or recitation on the day of either quiz. You may bring one two-sided sheet of notes to each quiz. You may also bring a calculator. A three-hour final exam will be given during the end-of-term exam week. Timing and room assignments will be announced later. You may bring three two-sided sheets of notes to the exam. This will be followed by considerable discussion among the entire teaching staff to factor in your diligence on the homework and labs, and your participation in class and tutorials. This discussion can affect your letter grade for the course, particularly if your initial grade is on a letter-grade boundary. Furthermore, failure to complete the labs in this subject will result in an overall grade that is one letter grade lower (not an Incomplete). This subject has been designed so that lectures, recitations, tutorials, homework and labs are integral and essential parts of the learning process. Although there is no specific reward for participation, there is a clearly defined penalty for not participating. Students who consistently miss recitations, tutorials, homework and labs will not be included in the grading discussions.